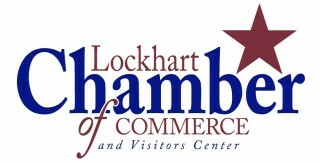 On May 26, 1999 House Resolution #1024 was adopted by the 76th Texas Legislature naming Lockhart the 'Barbecue Capital of Texas', then by the Sentate in the Fall of 2003. 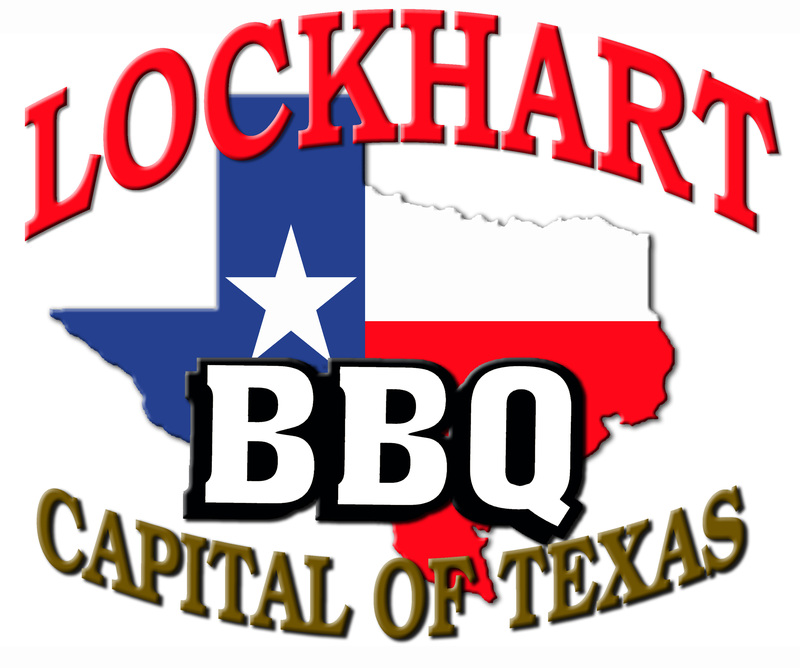 No visit to Lockhart would be complete without eating BBQ at one of our 'World Famous' BBQ Restaurants! 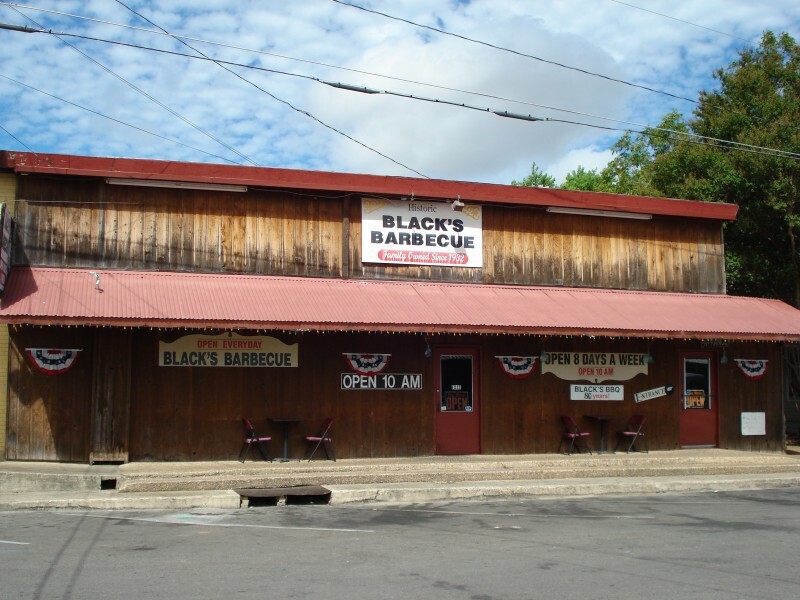 Black's Barbecue, located in Lockhart, Texas is Texas' oldest major barbecue restaurant continuously owned by the same family. 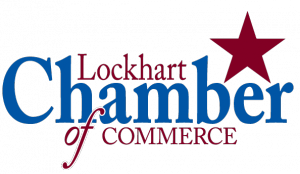 Find out why the Travel Channel featured Black’s on their Barbecue Paradise show and what's kept generations of Texans coming back for more. Chisholm Trail serves up a tasty meal. The restaurant packs in a daily crowd made up mostly of locals and it too, has made the Texas Monthly list of Texas' best barbecue restaurants. 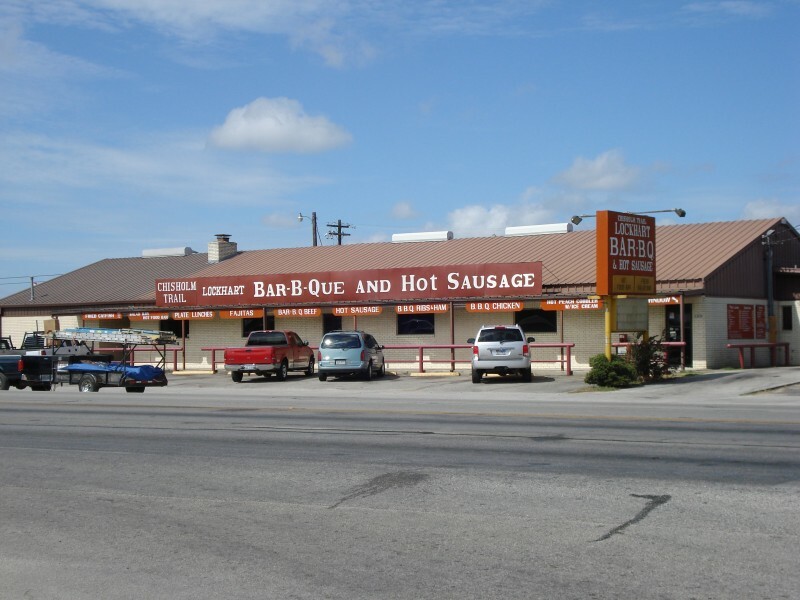 Chisholm Trail Bar-BQ has a cafeteria style serving line and offers a large selection of salads and side dishes to go along with the sausage, brisket, ribs, turkey chicken and fajitas. Smitty's Market has been named one of the top five barbecue restaurants in Texas by Texas Monthly Magazine. 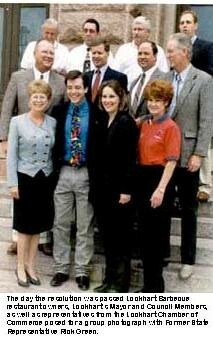 Nina Schmidt Sells established Smitty's Market in 1999 in the building that housed her father's Kreuz Market for more than 50 years. 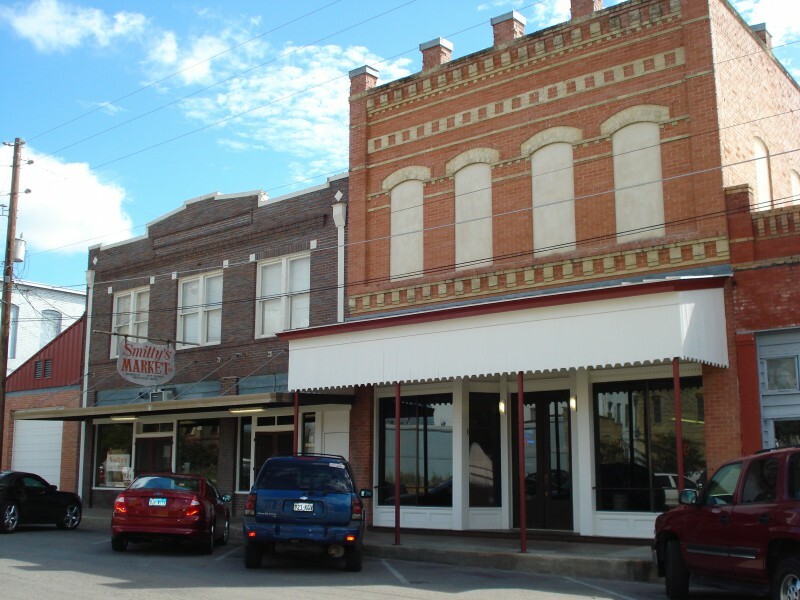 The market sits in the same location where barbecue has been sold in Lockhart since the turn of the last century. 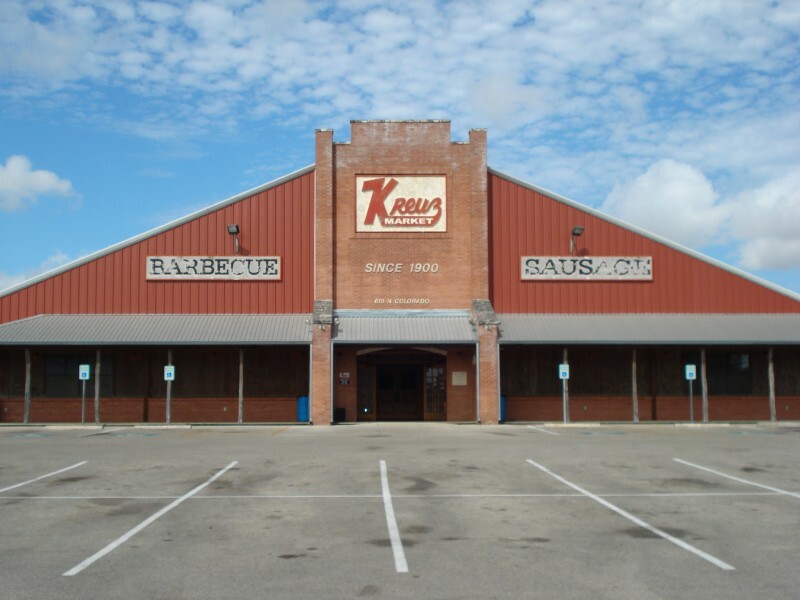 Kreuz Market moved from its original location started in 1900 by Charles Kreuz as a meat market and grocery store to its newer, expanded facility a quarter of a mile north of the old location in 1999. Along with the new building came some new items on the Kreuz menu, most notably: pork spare ribs, beans, German potato salad, sauerkraut, and a new jalapeno cheese sausage, but don't look for any barbecue sauce or forks as they are still missing in action from Kreuz Market to this day!